June is a big month for seniors, both in college and high school. For the high school seniors, you’re graduating and starting a new chapter in your life – college! It’s an entirely new experience from high school – your college is your home. Speaking from experience, your college comes to mean much more than you ever thought. If you’re a senior in college, June means you’re an adult now! You’ve graduated, you’re in the real world – and you know exactly what I mean about how much your college means to you. There’s no better way to show that school spirit than by sporting your school colors. Of course, the best way I know how is on my nails, thanks to University Nail Pax. And, of course, I have to note that while I am rocking Seton Hall nail wraps, I didn’t actually attend Seton Hall (but both of my parents did!). I went to Villanova – let’s go Wildcats! Nail art can be tricky, which is why nail wraps are a great invention. Peel off the already-created design, stick it on your nails, and bam – you’ve got a perfectly designed manicure. The instructions are actually pretty simple, and they come inside each kit. Select the sticker that will best fit your nail and carefully place it on your nail. Press out all the air bubbles. Cut it to fit your nail, and file it to be smooth. And you’re done! No wait time, no dry time. For the average college student, money is usually tight, which is why I love that these nail wraps come with 32 individual nail wraps and a nail file for only $12. For about the same price, you get 12 individual nail wraps from Sally Hansen. 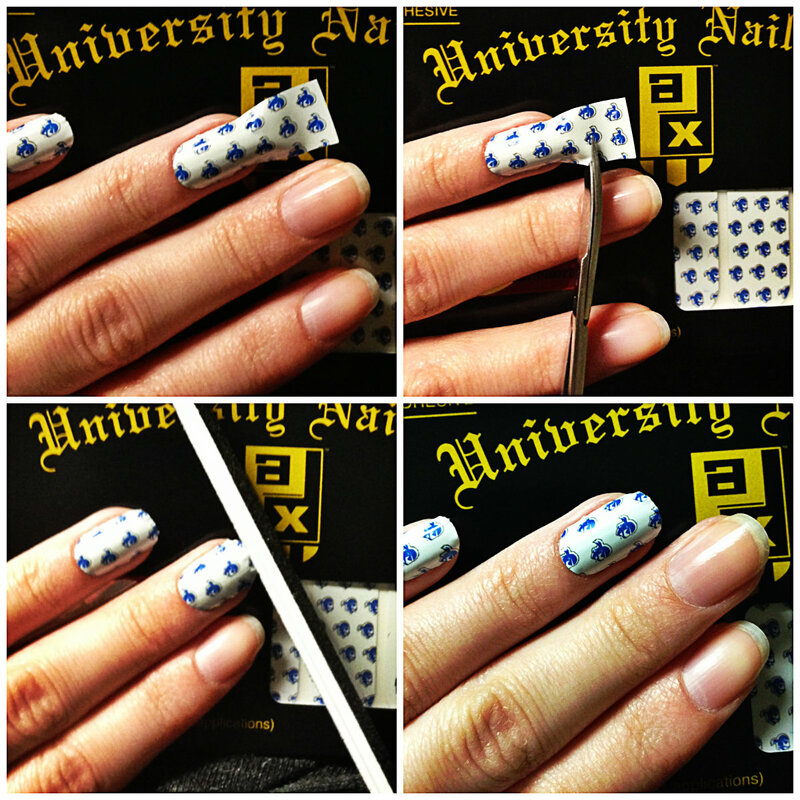 With University Nail Pax nail wraps, you can create multiple manicures from one set! 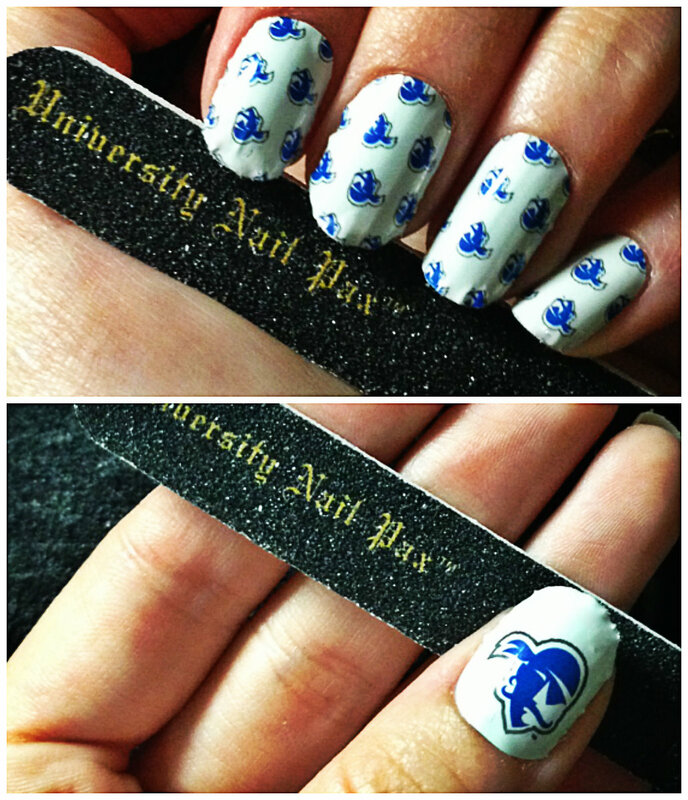 University Nail Pax nail wraps are made for 32 different schools around the country, including Seton Hall (pictured above), Kansas State, Miami, NC State, Xavier, and more. Visit shopunp.com to see if they’re available for your school! 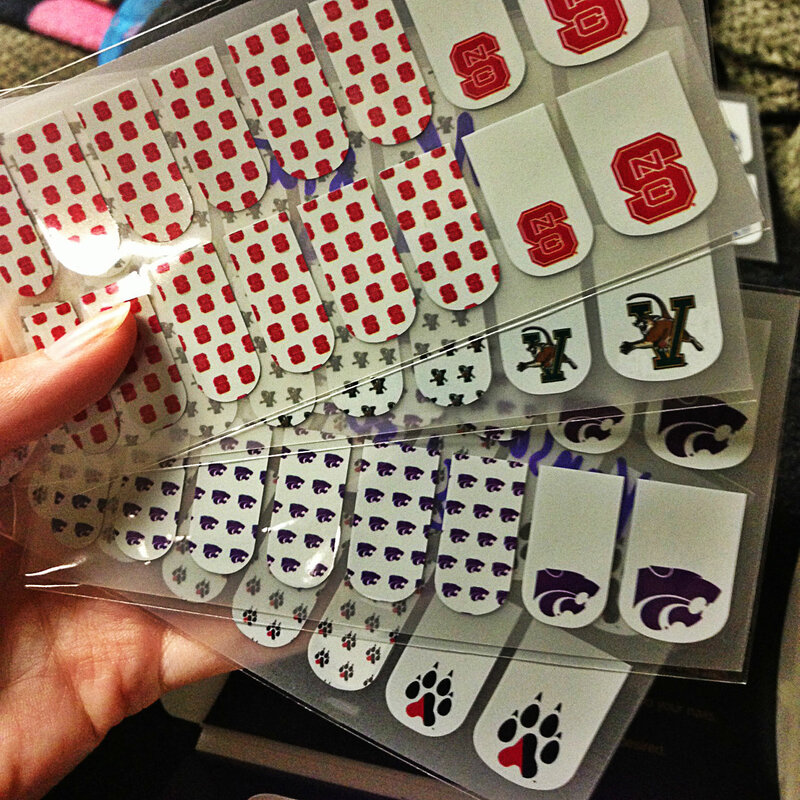 Disclosure: I received University Nail Pax Nail Wraps from University Nail Pax for the purpose of reviewing. The opinions stated in this post are my own.